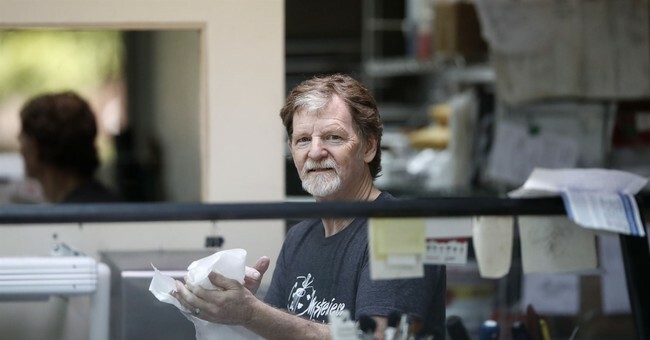 Jack Phillips has been fighting to defend both his business, Masterpiece Cakeshop, and his religious beliefs for six years now, ever since he refused to bake a wedding cake for a gay couple. The couple sued, with the help of the Colorado Civil Rights Commission, and the case eventually reached the Supreme Court. In June, the justices ruled in favor of Phillips. Despite his decisive court win (7-2), the Colorado Civil Rights Commission is again trying to run him out of business. On June 26, 2017, instead of a gay wedding cake, a transgender lawyer asked Phillips to bake a gender transition cake, which would be pink on the inside and blue on the outside to represent the transformation. Of course, Phillips could not honor the customer's request and was justifiably frustrated that the state keeps coming after him. Alliance Defending Freedom, who took on the first case against Phillips, is preparing to represent him as their client again. They too are fed up with Colorado's bias. “It’s clear that the state of Colorado did not get the message from the Supreme Court, since it is still singling out Jack for punishment and showing hostility toward his religious beliefs,” ADF senior vice president Kristen Waggoner said in a statement. The Supreme Court's June ruling was pretty crystal clear about what it thought of Colorado's bullying. "The government, consistent with the Constitution’s guarantee of free exercise, cannot impose regulations that are hostile to the religious beliefs of affected citizens and cannot act in a manner that passes judgment upon or presupposes the illegitimacy of religious beliefs and practices." Of course, it's hard not to think the accusing party did not walk into Phillips's bakery by chance.